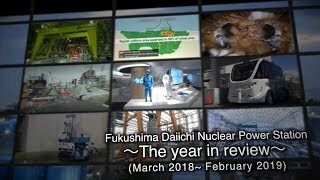 On March 17, at an extraordinary meeting of its board of directors, the Kansai Electric Power Co. (Kansai EP) officially decided to decommission the aging Mihama-1 and -2 Nuclear Power Plants (PWRs, 340 MWe and 500 MWe) in Fukui Prefecture, which have more than 40 years of service since their starts of operation. On the same day, the Japan Atomic Power Company (JAPC) decided to decommission the Tsuruga-1 (BWR, 357 MWe) in Fukui Prefecture. On the following day, the 18th, the Chugoku Electric Power Co. decided to decommission its Shimane-1 (BWR, 460 MWe) in Shimane Prefecture, and the Kyushu Electric Power Co. did the same for its Genkai-1 (PWR, 559 MWe) in Saga Prefecture. Regarding the Mihama-1 and -2, Kansai EP initially considered whether or not to continue their operations beyond 40 years. Given that their electricity outputs are relatively low, the company would be unlikely to recover the costs of work necessary for safety measures required to extend their lives, leading to its decision to decommission them. The output of JAPC’s Tsuruga-1 is also low, at 357 MWe. The Chugoku EP and Kyushu EP made their decisions based on similar reasons. On March 19, the four power companies will officially report their decisions to the Ministry of Economy, Trade and Industry (METI). At a press meeting after a Cabinet meeting on March 17, METI Minister Yoichi Miyazawa said in regard to financial support for siting municipalities faced with the loss of grants and tax revenues as a result of the closures, that the government would decide “what can be done” after talking with the municipalities directly. Meanwhile, on March 17, with an eye toward restarts, Kansai EP filed applications with the Nuclear Regulation Authority (NRA) for examinations of its Mihama-3 (PWR, 826 MWe) and Takahama-1 and -2 (PWRs, 826 MWe each), all in Fukui Prefecture and each already operated for more or less 40 years, for compatibility with the new regulatory standards. 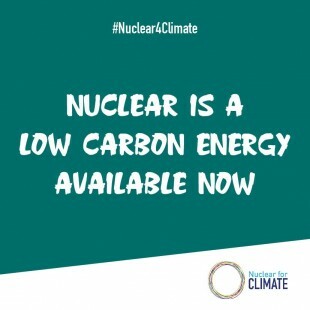 At the beginning of the 2000s, a time referred to as the “nuclear renaissance,” older, fully depreciated reactors were seen as profit-making assets (with the exception of certain types of reactors like the Magnox reactors in the U.K.). Lifetime extensions or power uprates of those NPPs were the global norm. The Fukushima Daiichi Accident in 2011 changed that. 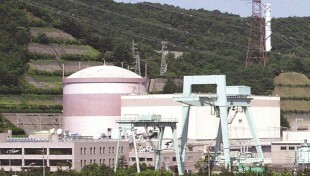 In Japan, while no maximum lifetime had been established previously, it is now clearly stated that an NPP’s operating life shall be in principle 40 years. Operation beyond 40 years requires adequate safety measures, which are costly, and such NPPs of lower capacities are now considered economically less valuable. The government has indirectly supported the power companies in coming to their decisions on decommissioning. On March 13, METI’s Agency for Natural Resources and Energy (ANRE) revised the accounting provisions in the Electricity Business Act, whereby, the electric power companies can now calculate decommissioning costs in installments of up to ten years, instead of one-time as previously. These are the first decommissionings decided by power companies since those revisions. By promoting decommissioning of older NPPs, the government is emphasizing to the nation its attitude of valuing safety. It is also making clear that it will continue to use a certain number of NPPs that are profitable after safety measures are implemented. Japan’s nuclear administration is making a key turn.